Once a large office building The Forum Conference and Banqueting suites is now a purpose built conference venue, following a £2.5 million refurbishment and re-launch in 2014. This Hertfordshire venue can hold up to an impressive 625 delegates and has 4 large flexible event spaces all with sound proofing. The Forum is ideal for meetings, conferences and gala dinners alike. 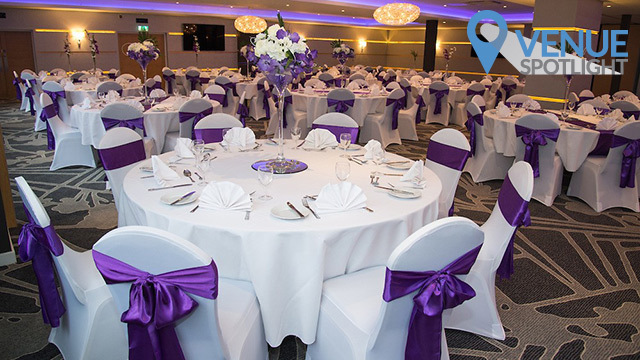 Located in Stevenage, just 25 minutes by train from central London and off junction 8 of the A1(M), adjacent to the Ibis Stevenage this venue is ideal for both residential and non-residential events. Just two stops away on the train or just a short drive up the motorway you’ll find the Mercure Letchworth Hall Hotel, a beautiful countryside venue. This Grade II listed country venue overlooks a golf course, is situated in 8 acres of parkland, an has an adjoining a health centre and spa. Built in 1625 and retaining many original features, this hotel also offers modern conference and meeting rooms holding anything up to 240 delegates. With free WiFi and plenty of free car parking, the Mercure Letchworth Hall makes an ideal stand alone venue or overnight retreat for guests attending an event at The Forum. Offering fantastic value for money, day delegate rates at Mercure Letchworth Hall Hotel are available from just £35.00 per person. These two venues in conjunction with the Ibis make a unique and flexible combination for any corporate event. To make an enquiry at either The Forum, Ibis Stevenage or Mercure Letchworth Hall please contact us on T: 01202 400850 or click here to submit your enquiry online.